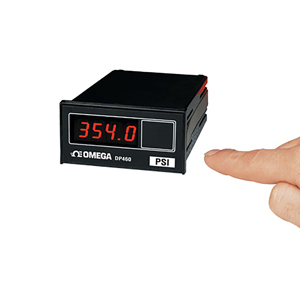 The DP460 is an economical dc indicator, capable of measuring millivolts, voltage or current. The DP460-V accepts voltage inputs to 10 Vdc or current to 20 mA. The DP460-E accepts the same ranges as the DP460-V, but includes a 24 Vdc transducer power supply. For transducers with millivolt outputs, the DP460-S accepts up to 500 mV dc and provides 10 Vdc excitation. 注: Multi-channel units require mating sensors of the exact same range and output, with zero and span adjustments. Each unit is supplied with self-adhesive front panel labels for various engineering units and complete operator’s manual.